Are you tired of the same restaurants and want to try something different? 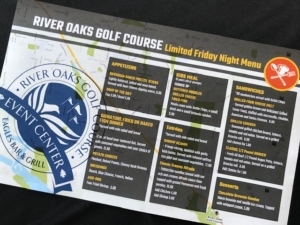 River Oaks Golf Course offers a Bar & Grill that is open every Friday and Saturday from 3-9 pm which features an incredible menu along with the service that will leave you smiling. 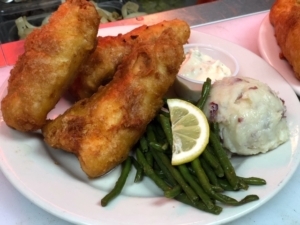 Every Friday we offer our Signature Fish Fry and on Saturdays we offer our PRIME RIB and our BUY ONE- GET ONE 1/2 OFF all our Signature Burgers! If you have not visited with us recently, take a stop down and enjoy a delicious dinner with family, friends or coworkers! Once the golf course opens, we are open from sunrise to sunset, weather permitting, but we are always open EVERY Friday and Saturday from 3-9 pm, NO MATTER WHAT!